Charles Dutoit leading the Philadelphia Orchestra at the Lucerne Festival in 2011. 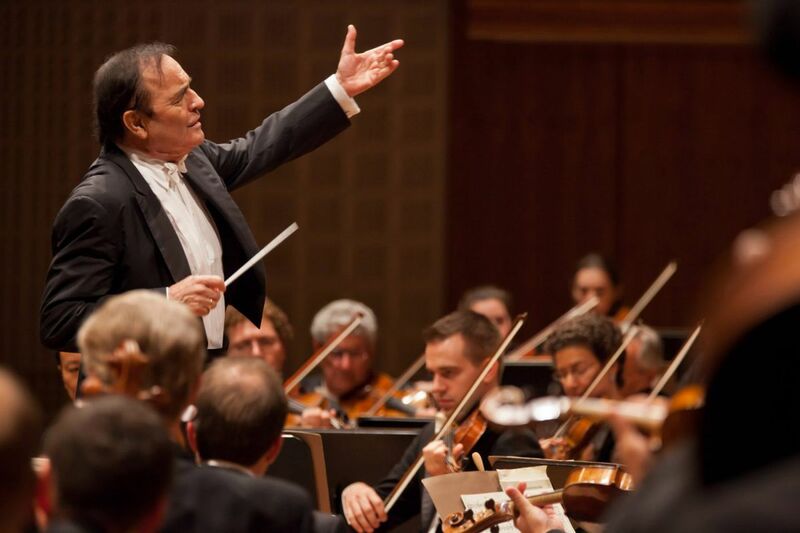 The Philadelphia Orchestra has had a closer relationship with Charles Dutoit than with any other guest conductor, and the highly regarded Swiss-born maestro, now the orchestra's conductor laureate, was considered more than once for the post of music director, its top spot. Dutoit, 81, who was accused of sexual misconduct by four women in an Associated Press news story Thursday, has performed 650 concerts with the Philadelphia Orchestra since his debut in 1980, including some concerts on tours. He also shored up the orchestra artistically at a delicate time after it parted ways with Christoph Eschenbach. Asked to respond, Dutoit on Thursday wrote in an email that he had just arrived in Europe from Japan to find out about the allegations, and declined to speak, as he is seeking legal advice. The Philadelphia Orchestra Association released a statement Thursday evening saying it was "horrified to learn of the deeply troubling accusations of sexual misconduct against Charles Dutoit. We had no knowledge of these allegations. The Association is committed to providing a safe and respectful work environment for all of its employees and guest artists." our responsibility to be a forceful opponent of abuses of power. The seriousness of the accusations demands a thorough investigation. We offer our sincerest sympathy to those who have been impacted." Asked if the statement meant the orchestra would undertake an investigation or would revoke Dutoit's laureate conductor title, and if the conductor would ever again perform here, a spokeswoman said those issues were under discussion — though Dutoit's name and photograph were removed late Thursday from the conducting roster on the orchestra's website. The Boston Symphony Orchestra and the San Francisco Symphony both said they were severing ties with the conductor, and the New York Philharmonic said Dutoit had withdrawn from January dates with that orchestra. Joseph H. Kluger, who was the orchestra's president during much of Dutoit's time in Philadelphia and is no longer affiliated with the organization, said Thursday that he was "not aware of any occasion in which anybody brought, certainly not to my attention or anyone else's at the Philadelphia Orchestra, any complaints about his behavior throughout the time I was there." That said, Kluger, who led the orchestra for 16 years through 2005, said he was "not surprised by the AP story." Kluger said that rumors of what he called Dutoit's flirtatious "inappropriate behavior" were widespread, and that the leadership "made it clear to everyone who worked on staff with the Philadelphia Orchestra to be careful and bring to us any examples of any behavior that was inappropriate. No one did while I was there." Philadelphia Orchestra members belong to a union and are able to give feedback on guest conductors through committees or principal players, who pass on that feedback to management. Cellist John Koen, who has served as chairman of the Philadelphia Orchestra's members' committee, noted that the dynamic with Dutoit was different than with other guest conductors, since he held titles with the orchestra. Still, he said he knew of no formal complaints regarding Dutoit's behavior with orchestra members. Dutoit's associations with the orchestra run long and deep. He held the title of chief conductor from 2008 to 2012, and though he did not become music director, no one doubted his artistic authority. He was artistic director of the orchestra's summer season at the Mann Center from 1990 to 1999, holding the same position for 21 years at the orchestra's late-summer home at the Saratoga Performing Arts Center. He ended his Saratoga Springs, N.Y., tenure in 2010 after more than 180 concerts there with the orchestra. Many players have spoken over the years of the easy relationship the ensemble developed with him – a kind of shorthand of gestures and channeled wishes from the podium that made rehearsals efficient and performances exciting and polished. The regard was mutual. "The orchestra responds to me, or I respond to them, this kind of chemistry has been built over the years, many years," Dutoit said in 2007. "Now I feel like I am driving a Rolls-Royce or playing the organ … where I pull the stops, and so I can choose the colors and they react immediately. And it's an exceptional thing." In 1991, Dutoit was made an honorary citizen of the City of Philadelphia, and he holds an honorary doctorate from the Curtis Institute of Music, where he occasionally worked with the conservatory's orchestra in guest readings. "You have been a star for Philadelphia for a long, long period of time," said then-Mayor Michael Nutter in a 2011 tribute video to the conductor. "We've enjoyed your music, but more importantly, you've demonstrated to the world why Philadelphia has one of the best orchestras anywhere." Dutoit last appeared here in March 2017, leading the orchestra in Britten's War Requiem. He is not scheduled to return, an orchestra spokesman said. Musically, Dutoit is highly regarded in a wide variety of repertoire. He once traced his history with the Philadelphia Orchestra to hearing Eugene Ormandy conduct it in Geneva, in his native Switzerland, in the 1950s. "They opened the concert" with the overture to Rossini's Semiramide, he said. "And you hear this balance — tikitikitikitiki — and the flute on top of it. The 30 violins were the shade of the flute — it was unbelievable, the balance. I remember that as probably the greatest experience in my life. That is the way one should play, the quality one has to achieve."